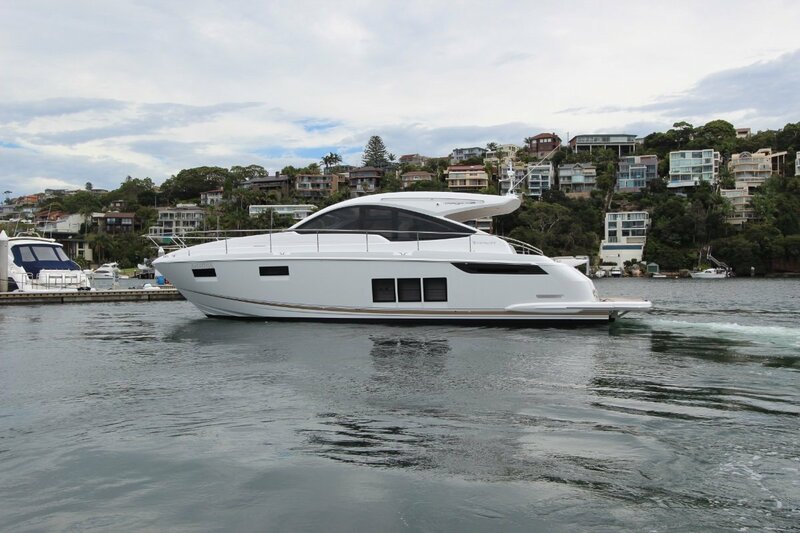 With an amazing open plan layout, Fairline's Targa 48 is THE BOAT for Sydney harbour! Established syndicate setup The Spit, running on the Boat Equity system in a fully managed syndicate with walk on walk off service. Viewings are a MUST to get a feel for this beautiful boat. The cabin layout features a fabulous mid master with an optional sofa that converts into an additional bed, there's a forward double cabin that can convert to a V-berth. The perfectly formed galley enjoys a tall fridge/freezer and pull out larder. Large panoramic windows add to the sense of light and space in the generously well appointed saloon. Moving out onto the cockpit you can take a seat or stretch out on the large sunpad, with the luxury of being able to control how much sunlight you get by simply activating the powered retractable cockpit cover. The integral garage is home for the tender and it also has a hydraulic submersible swim platform.